During this time she has concentrated on 19th Century Meissen and in particular on those figures and groups with fine modelling and subtle and detailed decoration, as well as on the superb and detailed decoration on Meissen wares of this period. 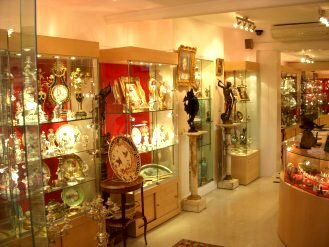 We also place great importance on the condition of all the pieces we sell and never sell badly- or over-restored items . With a keen eye for quality and knowledge of antique Meissen and other European porcelain acquired over so many years, she has built up a high level of trust and reputation for having an eye for top quality 19th century Meissen porcelain as well as being an antique dealer of integrity. She is an exhibitor at 3 major Fairs, BADA Fair at the Duke of York Square in March, and the Olympia Fine Art and Antiques Fair at Olympia in June and November of each year. With many antique Meissen and porcelain collectors and dealers now searching for new contacts and discoveries on the Internet, we are happy to welcome you to our website and hope you enjoy browsing through our site . We are always happy to assist you with your enquiries concerning our pieces.